Nestled between India and Southeast Asia, Myanmar (formerly Burma) is a burgeoning landscape of history, culture and charm. Populated by over 54 million people, this nation is comprised of many diverse ethnic groups with strong ties to Buddhism. Popular attractions include the Shwedagon Pagoda in Yangon, the ancient temples of Bagan, and a cultural trip around Inle Lake. Immerse yourself in the authenticity and natural splendour of Burmese landscapes because cheap flights to Myanmar are now available! The country’s hub airport is Yangon International Airport (RGN), a 25-minute drive from the city centre. Myanmar’s history is as vast as its landscapes, owing to its rich Buddhist and Hindu spiritualities. Explore the many temples, stupas, monasteries, relics and scared pilgrimage sites where the architecture will leave you feeling amazed and inspired. 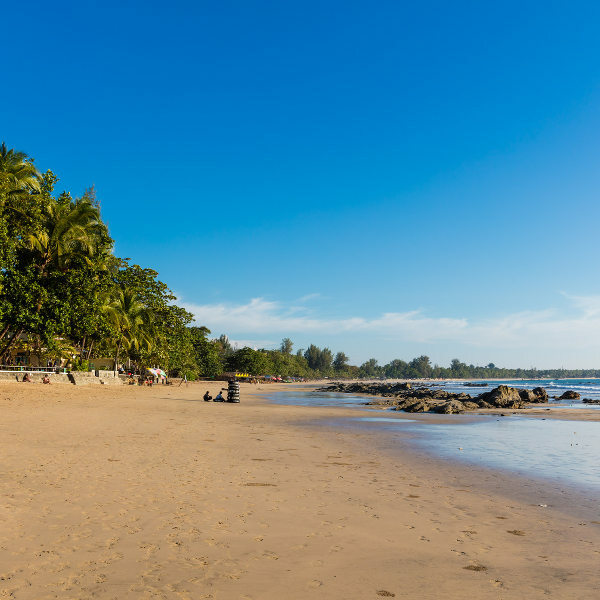 Stretching along the curvaceous coastline in the Bay of Bengal, coconut trees line the sandy beaches, including Ngwe Saung and Ngapali. Watch the fishing boats drifting in with the freshest seafood or enjoy thrilling scuba diving and jet skiing! Row through the water villages and markets of Inle Lake, explore the Pindaya Caves, cycle through the countryside, walk through the bustling city streets and try your hand at a cooking class – Myanmar has much to offer adventure seekers! Myanmar experiences a tropical climate with a heavy monsoon season occurring between May and October. Between July and September, coastal roads often become flooded and impassable, whereas the inland areas do not get as much rainfall. The hot summer season falls between March and May, seeing a stifling spike in temperatures, peaking 40°C. The plains of Bagan and Mandalay are extremely dry and hot, making sightseeing around the temples a little uncomfortable. The most ideal time to visit the untouched landmarks of this fascinating country is between November and February when temperatures are cooler with minimal rain to hamper outdoor activities. 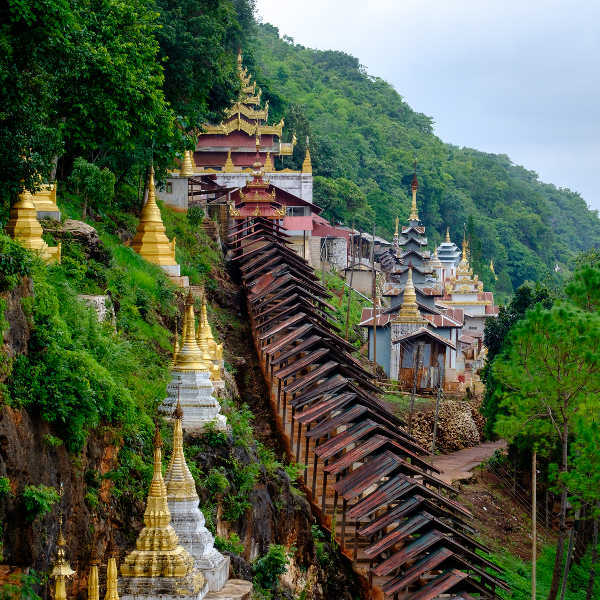 Myanmar beckons the most curious traveller to explore its gold-leafed temples, colourful markets, ornate palaces, inspirational landscapes and Buddhist culture. While Myanmar is slowly beginning to unfold as a tourist attraction, you can still enjoy some of its best-kept secrets without the touristic frills. The landmark city of Bagan is breathtaking with its ancient temples and stupas spiralling through the clouds. The capital of Myanmar’s first dynasty in 1044, Bagan boasts over 2000 temples, comprised of traditional carvings, fresco paintings and Buddha images. Seeing the sites by balloon is a popular way to take in the splendid views of this ancient city. Yangon is the popular gateway to explore Myanmar’s religion and culture. This developing metropolis is home to gorgeous architecture in the form of Victorian and Georgian buildings, with lakes, parks, open-air markets and mosques peppered throughout the city. 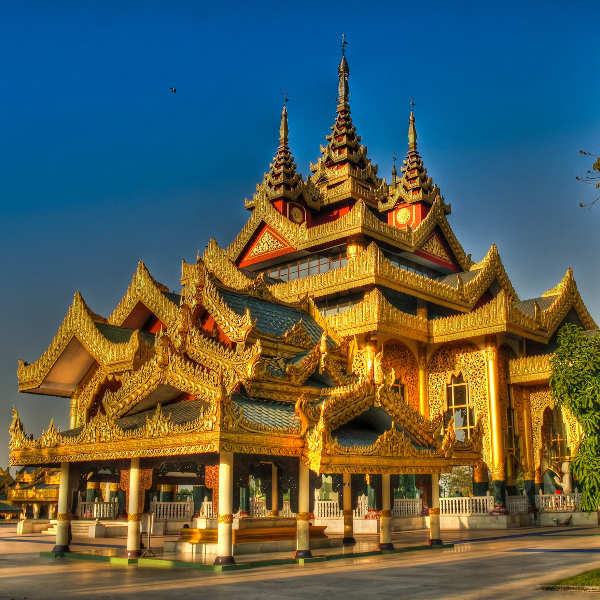 Yangon revolves around the Shwedagon Pagoda – a Buddhist masterpiece with shimmering gold embellishments. Visit the Bogyoke Aung San market for some traditional souvenirs. A hop to the east you’ll find the peaks of Mount Kyaiktiyo – home to the towering Golden Rock. Home to numerous pagodas, monasteries and the former Royal Palace, the city of Mandalay is the cornerstone of Burmese culture. The capital city, Naypyidaw, deserves a day to peruse its stately palaces and parliament buildings. For interesting trekking, the highlands of Kalaw offer beautiful scenery, simple guesthouses and delicious food markets! Similarly, the rustic town of Hpa-an offers stunning mountain trails winding between spice-infused roadside kitchens and coffee bars. Inle Lake is a scenic snapshot of stilted villages, pagodas and hand-crafted canoes sailing through aromas of fresh herbs and spices. The salt-washed fishing villages and beaches along the coastline are equally as charming. The popular Ngapali beach is a dreamy, sun-kissed paradise of beach bars, loungers and water sports. Compare several airlines, and book your cheap flights to Myanmar today! Myanmar is one of few countries where you can feel relaxed about walking around without being pickpocketed. Crime is severely punished, so even petty theft is extremely rare. The only concern you might have is being scammed into paying too much for a taxi ride or souvenirs. Myanmar’s healthcare, on the other hand, is poor and hygiene standards are low. While you will definitely want to taste the local street food, be cautious about where you eat and only drink bottled water (even for brushing your teeth). HIV/ AIDS is a significant issue so beware of injections at local hospitals. No vaccinations are required to enter the country, but it is strongly advised to be immunised against hepatitis A and typhoid, along with routine vaccinations. If you plan to venture out of the cities, take precaution against malaria. A good insect repellent is essential, as well as sleeping under mosquito nets. Due to the intense summer heat, a strong sunscreen is a must.